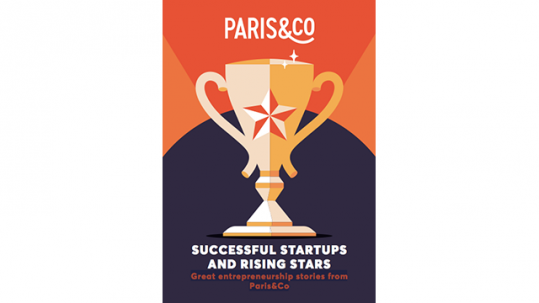 On Thursday 21st March 2019, for the 5th edition, the Mayor of Paris is handing the keys to City Hall to 3,500 participants: startups, experts, investors, major French and foreign corporates. This landmark event for innovation professionals offers startups collaboration and business development opportunities, and helps investors and corporates keep up with the latest innovations in all business sectors. Take part in the large "Startup MeetUp" event and in one of the 3,500 business meetings being held on the day. 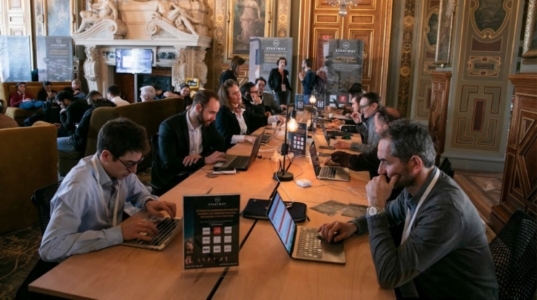 Under the majestic ceilings of the Paris City Hall “Salle des Fêtes”, startups, experts, French and international corporates, institutional players, investors and buyers from the City of Paris will participate in the largest MeetUp in Paris. The gong sounds at 15-minute intervals, letting you participate in one – or several – of the 3,500 business meetings scheduled that day. This large-scale speed dating event is a great way to connect with future partners, clients, experts and investors. Are you wondering about your administrative procedures, corporate taxation, regulatory requirements, public grants and other sources of funding? 10 public partners are at your service in the « Public Service » area. Make an appointment with these experts. 350 15-minute slots are available, be sure to sign up ! A series of workshops let startups focus on growth models, understand what’s currently at hand and learn about upcoming projects for the City of Paris: mobility, urban experimentation, international development, public purchasing, the challenge of civic tech, etc. City representatives and experts will present new markets and business development opportunities for startups and SMEs. Artists, researchers, French and foreign startups, SMEs and global corporates take over City Hall to showcase the innovations of tomorrow. On the agenda: visual, experimental and sensorial solutions in the creative industries, as well as in mobility and sustainable development, food and nutrition. With more than 20 demo spaces, you’ll get to attend demos and test immersive experiences ! Between two MeetUps or while you’re waiting for the next workshop, come make yourself comfortable in the Startway Coworking area specially designed for you. There, you can engage in conversation, share ideas, get connected or just relax.